We’ll start by tackling standing freezers, because it’s the kind of freezer that most folks actually have. 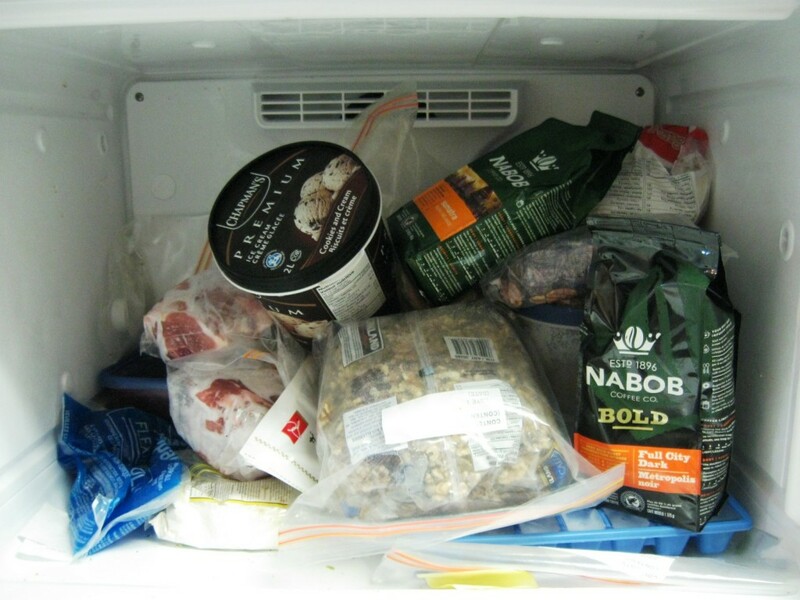 This travesty is our freezer’s before picture. Getting the freezer to close and stay closed became a luck-of-the-dice scenario. So how are we supposed to prevent our freezer from looking like a mudslide during monsoon season? We’re not going to go out and buy wire shelving for a rental freezer, and we’re not going find the correct matching shelving for this freezer anyway. It took me 4 months to realize – hey why not use these great square buckets we picked up free? And just like that, problem solved. Now our freezer closes without any issue at all and it fits a lot more too. 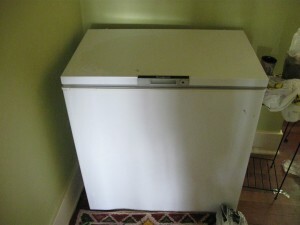 A chest freezer is the standing freezer’s husky cousin. They’re actually much cheaper to run because the cold air stays inside when you open it up. In fact, some people crank up the thermostat on chest freezers, turning them into ultra-efficient “chest fridges.” These chest fridges can cost as low as 5$ per year to operate. The downside to chest freezers is that you can accidentally “fossilize your food” if you’re not careful. We’ve unearthed ancient remains of frozen bread and something that looked like beans in the very bottom layer, far too freezer burned to eat. But with a bit of bucket-based forward thinking this won’t happen. 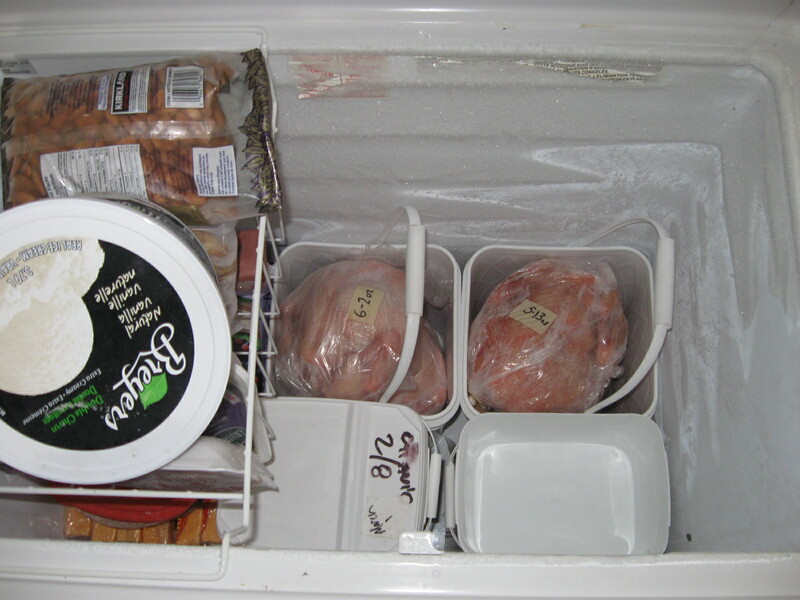 In my chest freezer, I use 4.5 gallon square buckets and 2 gallon buckets filling to fill in the gaps. I just tried every different size I could find until I hit on the right combination. 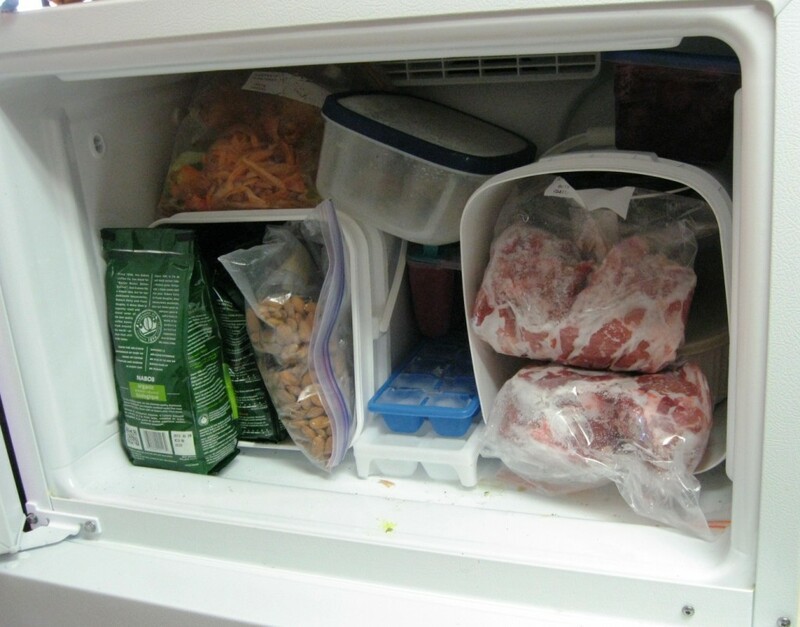 Since buckets are built for stacking, they make organizing a freezer simple enough for anyone!